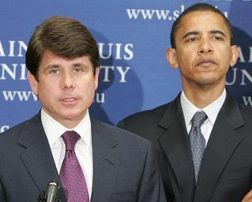 Blago GUILTY on 17 of 18 Counts | Virginia Right! Former Illinois Governor guilty on 17 of 18 counts. Including attempting to sell Obama’s old Senate seat. guilty of attempted extortion of Chicago children’s hospital.